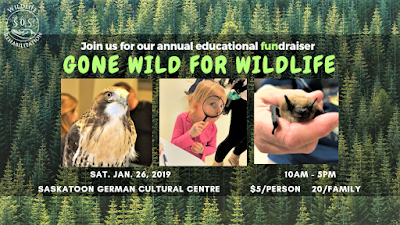 Meet hawks, bats, and snakes; dissect an owl pellet; make a pine cone bird feeder; and enjoy science experiments, juggling, and face painting at Gone Wild for Wildlife from 10 am-5 pm, Saturday, January 26, at the Saskatoon German Cultural Centre. EcoFriendly Sask is one of the event’s sponsors and we’re giving away two FREE family passes. 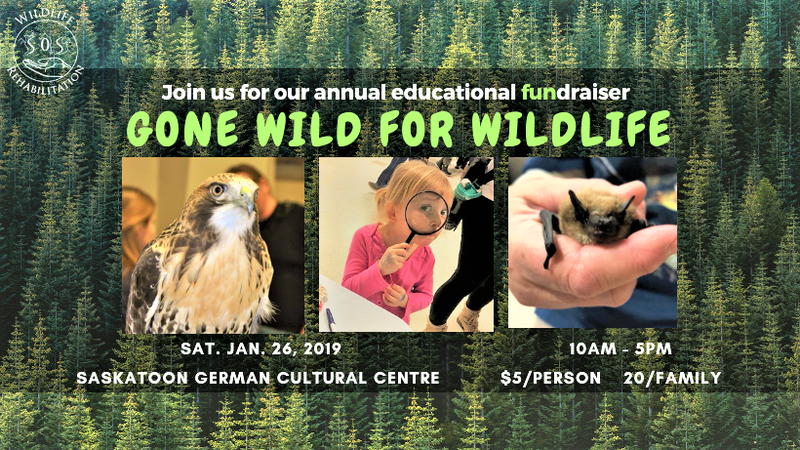 To have your family entered in the draw, post a comment or send us an email telling us about your favorite local wild animal. The draw will close at midnight on Saturday, January 19, and winners will be notified on Sunday. Good luck!